Toki Time is a five reeled video slot machine that is developed by one of the promising names in the industry, Thunderkick. Due to the high quality of the game and the quality of its visuals and its gaming experience, it is being distributed by Microgaming, which vouches for all of the aspects of the game. 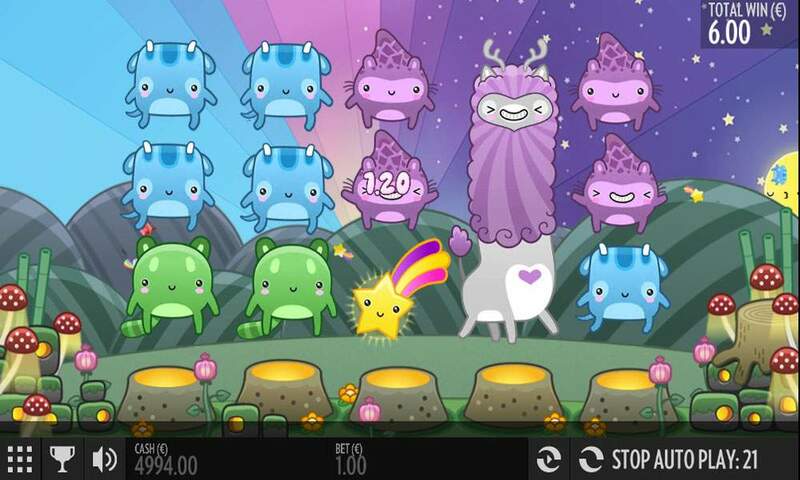 The game is about a mythical creature that is one with nature, and it is called the Toki. Players will go to its natural habitat to join the Tokis and enjoy a great experience. That is not all, as players would also get to enjoy the great payouts and the special features that this slot has to offer them. The Toki Time slot machine boasts 5 spinning reels and offers players a total of 11 lines that they can place their wanted stakes on. So if you want to join the Tokis for a one of a kind gaming experience, you can do that right here by using demo credits for an ultimate gambling experience. Its Toki Time with this slot machine, take a wild trip into the Toki’s natural habitat and join a group of different colored Tokis for a gaming experience that is fun, exciting, entertaining and most importantly of all, high paying. This game is all about the Tokis. This is why players will see different Tokis spinning on the reels of the game and scattered on the 11 paylines that the game offers to its players. The game is developed by Thunderkick but it is distributed with one of the biggest names in online gaming and software development, Microgaming. The fact that a company as big as Microgaming puts its name on a game means that the game is of high quality and vouches for the gaming experience that the players can get to enjoy right here for free by placing bets with demo credits without having to make any downloads or deposits. This way, they can get to test the game and check out the features before they place real money bets on the slot machine on any of the online casinos that offer it. The game has a pretty simple interface that allows players to easily change the game’s setting to create the gaming experience that fits their needs. They will be able to do that through the options button that is found on the left side under the reels. Once they click on it, they will view all of the different features and options of the game. This includes the Paytable, the bets, the sound settings, the game’s settings, the game rules and more. Players can toggle between the different options under each one of these settings so they can customize the game as much as they want. 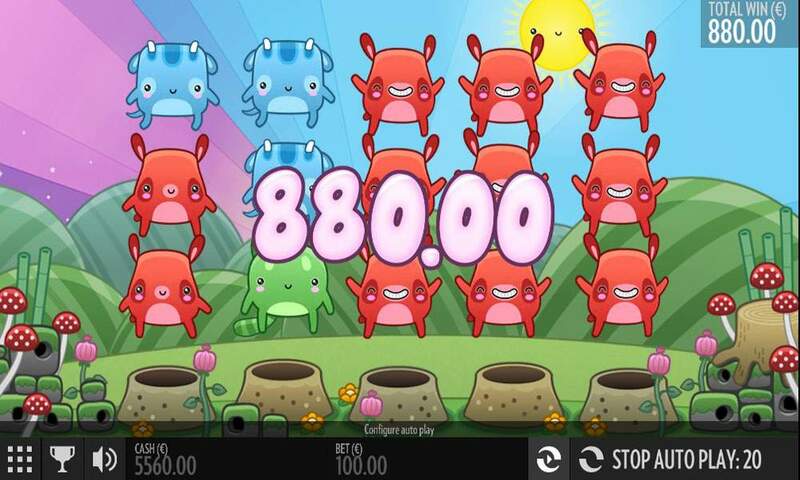 They will then place the bet that they want by clicking on the Bet button under the reels, which is also a part of the control panel of the slot. There are no betting options or number of lines to activate like most slot machines, as players will pick from a number of fixed bets. These values vary between 0.10 and 100, like most Thunderkick powered video slots. After that, there are two ways through which players can initiate the spinning of the reels. They can click on Spin to play one round, or they can click on the Auto Play button so they can choose the number of the “auto play spins” so they don’t have to click on spin every time. Of course, players have the ability to stop the auto play function at any time. 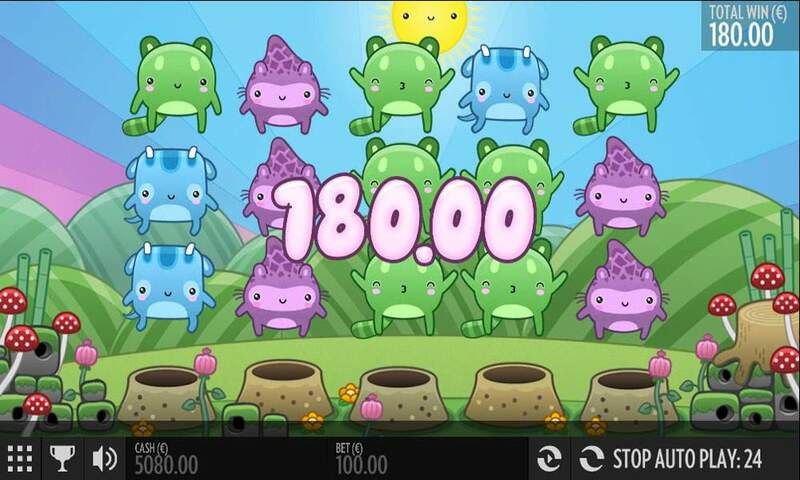 Since the game is backed by Microgaming, players can expect a game that is offered in great graphics that provide players with a visually entertaining and satisfying gaming experience. The game itself takes players in the great outdoors with flowers and green fields in the background. Under each reel, players will see a hole in the ground, its where the Tokis will spin into when players start spinning the reels. As for the symbols that will appear on the lines and the reels of the game, they include the different colored Tokis including a yellow one, a red one and a blue one. Other symbols also include a smiling cloud with a rainbow and the sun symbol. Players will also notice that there is a day and night cycle that takes place in the background, which adds to the beautiful natural theme of the game. All of this helps in creating an immersive and a captivating gaming experience that players will never want to stop playing. There are great payouts waiting for players as they place their bets and spin the reels of the game. It starts with the line payouts that can be earned by players who get a winning combo on any of the game’s paylines. Players can create that winning combo when they get at least 3 similar symbols on adjacent eels. These symbols can be from left to right or from the right to the left, since the game has the high paying “Pay Two Ways” format, which doubles the chances of winning when compared to other slot machines. Apart from the line pays, there is the special “Expanded Wild With Re Spin on Win” feature. The game has a special wild icon that can land on the 2nd and the 4th reel in order to expand and to cover the entire reel. If a win is earned with its help, a re-spin will be activated. Players can keep triggering re spins as they create more wins.